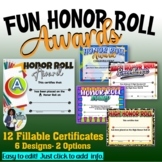 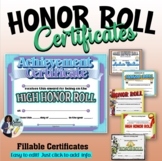 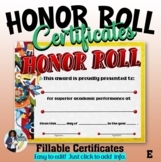 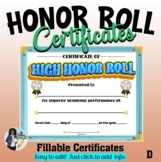 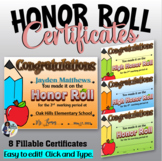 I created these honor roll certificates are for 7th grade physical science but they are easily editable simply by deleting and reentering information in a powerpoint slide. 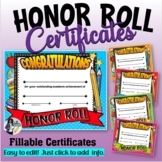 These certificates include blanks for the students name, school year, marking period, and teacher. 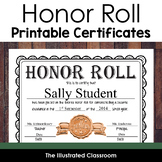 I love zebra print and my girls love being recognized for being on the honor roll. 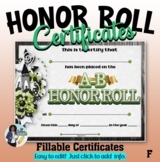 I use this with my middle school girls but it can be used for all students. 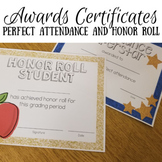 You can even change it to perfect attendance, team player, etc. 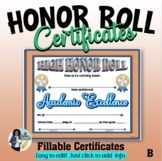 The file is editable so play around with it! 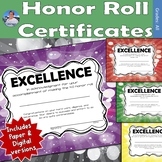 A set of fun colorful certificates to recognize students on the honor roll. 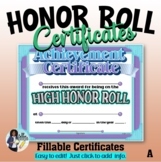 The pack contains 10 fillable certificates that includes 5 blank ones that you can customize with your own words. 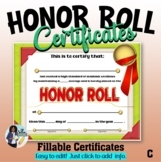 The certificates are fillable; just type your students’ names and your choice of words and you are all set!